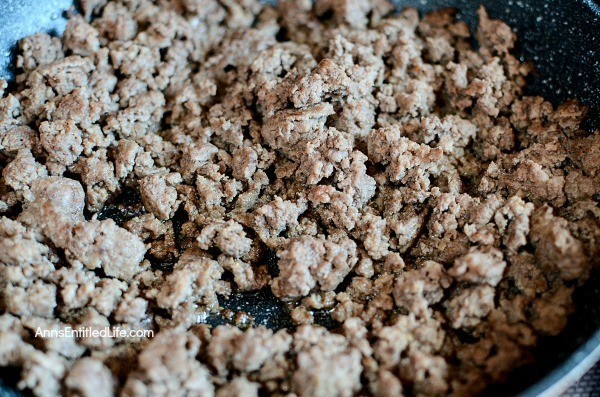 • Cook ground beef in pan, drain, then return cooked ground beef to the same pan. 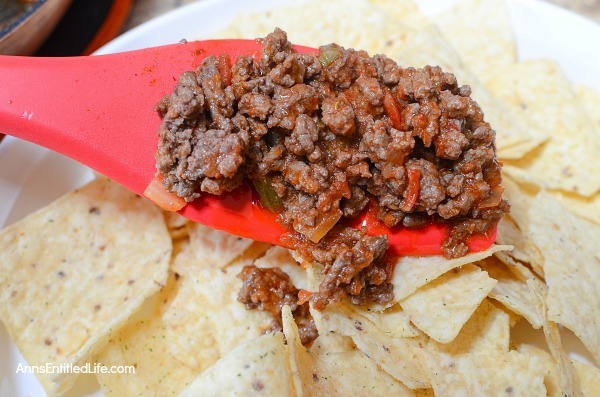 • Add 1 jar (16 ounces) salsa to cooked ground beef. Heat on a low burner until completely warmed through. 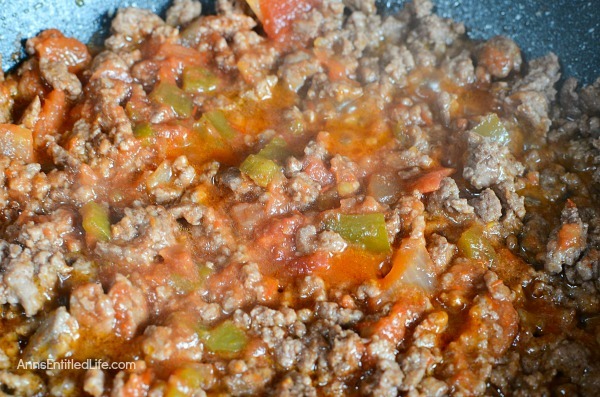 • In a separate pot (or microwave), warm cheese sauce until smooth. 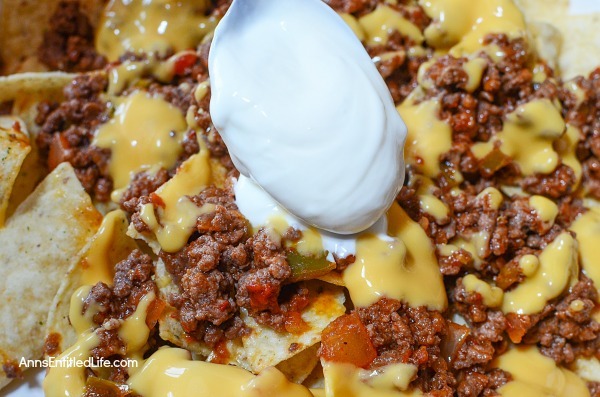 • On a plate, layer a handful (or more) tortilla chips, ladle salsa mixture on top of chips, layer nacho sauce on top, top with sour cream. 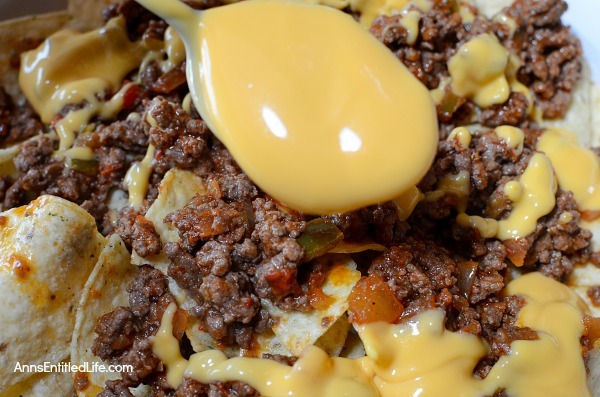 One note: once you make up the Nachos Deluxe, the tortilla chips will turn soggy, so eat quickly and do not allow to stand for a long time. Another note – I originally published this on my old blog back in 2010. The photos have been updated. 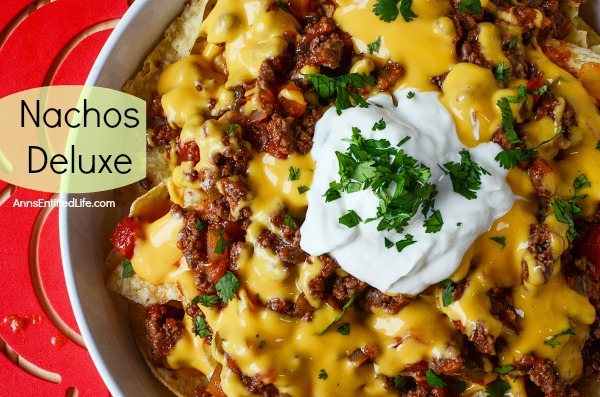 • To print the Nachos Deluxe recipe, click here. I’ve been craving for nachos the past week! This is a good way to satisfy that craving! Thanks for sharing & have a lovely week! Happy new year! 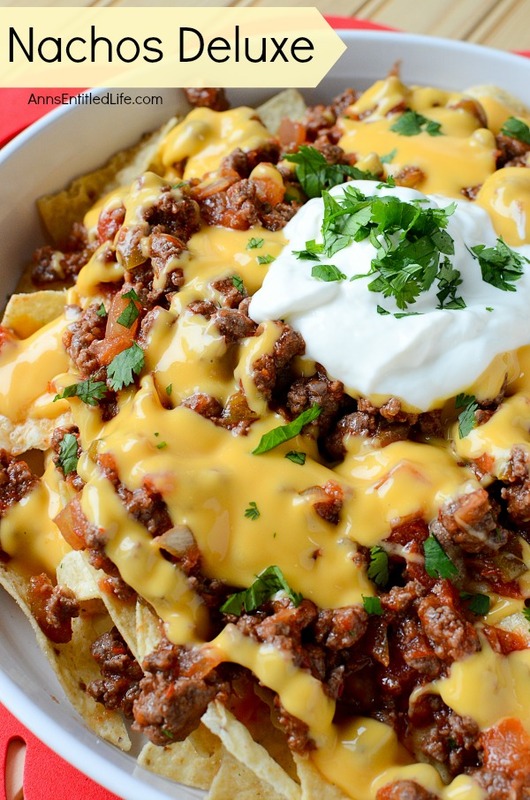 Omgosh, nachos are always a good idea! I can’t wait to try out your recipe. Thanks for sharing it with us at Merry Monday this week! 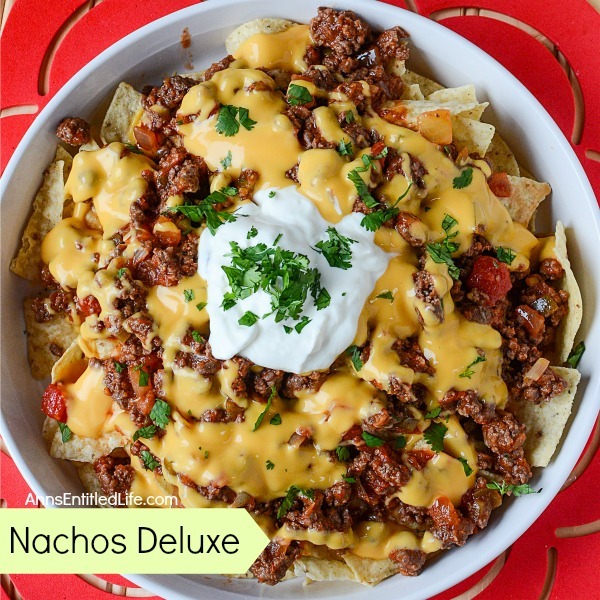 These Nachos Deluxe are just what I was looking for. Every now and then I just need some Nachos. 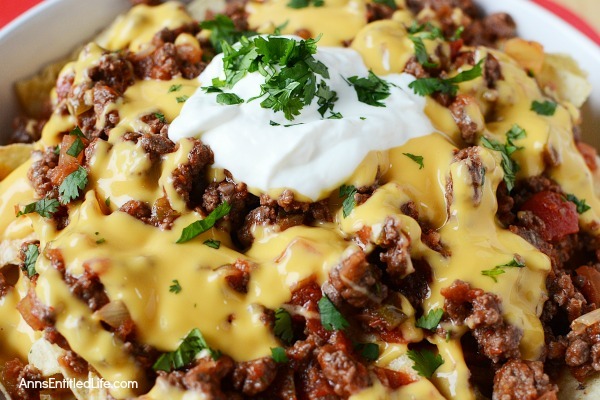 Sometimes I just add a little cheese, but these Nachos sound like they could be a go to recipe for me. Thank you for sharing at The Creative Exchange Link Up Party. Why don’t you show a printable version of the recipe??? It is a pdf, so you need a pdf reader like adobe or nitro to open the printable recipe. What brand of nacho cheese did ypu use? This is also good with a layer of retried beans & shredded cheddar. I do mine in a 9 x 13 pan. I spread each layer & bake at 350 degrees until everything is hot, crispy & melted. This sounds so delicious and easy. I think it will be on our Super Bowl menu for this year!